The election of the Best Traineeship Benelux was initiated in 2006 by Ilse de Heer of DeHeer Consultancy with the objective to identify traineeships for the best career start for young high potentials. In 2012 DeHeer Consultancy developed the first accreditation mechanism for graduate programs together with Become A Trainee, a research center for talent development programs. Through benchmarking capabilities, companies from different industries will be assessed so they can evaluate, compare and improve their traineeships. By participating in the election, companies have a thorough analysis of their graduate programme(s). The programmes that comply with minimum standards are given the accreditation which serves as a quality label. DeHeer Consultancy believes it is important to help organizations to invest in the quality of their traineeship. The election of the Best Traineeship Benelux is a yearly competition where companies that offer a traineeship, compete against each other for the 'Best Traineeship Benelux' award. In a first round traineeships are benchmarked through online surveys. In the second and third round a jury assesses the traineeship based on the outcomes of a benchmark exercise, panel interviews and an elevator pitch. All participating companies get a personalized benchmark report which provides them with insights on the competitive advantages and improvement areas of their traineeship. Furthermore, companies that pass the first round are granted a quality label that can be used for employer branding and recruitment. 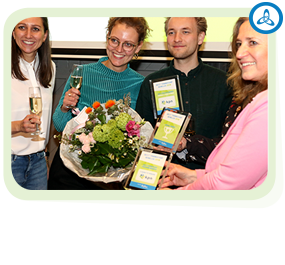 Finally, companies can win a 'best in class' award for one of the selected categories and even win the much wanted Award for the Best Traineeship Benelux. We have joined the benchmark as KPN with our Young Talent Program for three years now. The survey gives us a good insight in the strengths and weaknesses of the program over several important categories. It is an objective and useful point of view when you plan to improve your program. The report also gives useful information on how the trainees examine their own program, what they think is important and which elements are actually implemented. Also the contact with other companies during the finals is interesting and inspiring! We are very proud to be elected as overall winner for the Best Traineeship 2018!